Good morning! 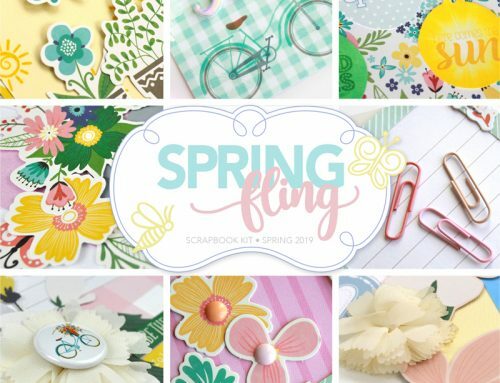 It’s day 3 of our Spring Fling kit reveal and today Lisa Dickinson is here sharing three of the beautiful projects she created along with some fun answers to the questions we asked each of our kit designers! Remember, if you are loving this exclusive and limited edition kit it will be on sale this Friday at 2:00 pm ET. 1. What was your favourite product in the kit and why? I always love the stamps! 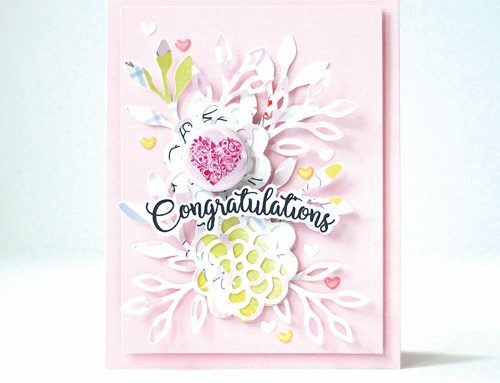 While I’m not an “advanced” stamper and my technique is far from perfect, I love using some of the smaller stamps to fill in blank spots in my designs and add a bit of interest to my backgrounds. 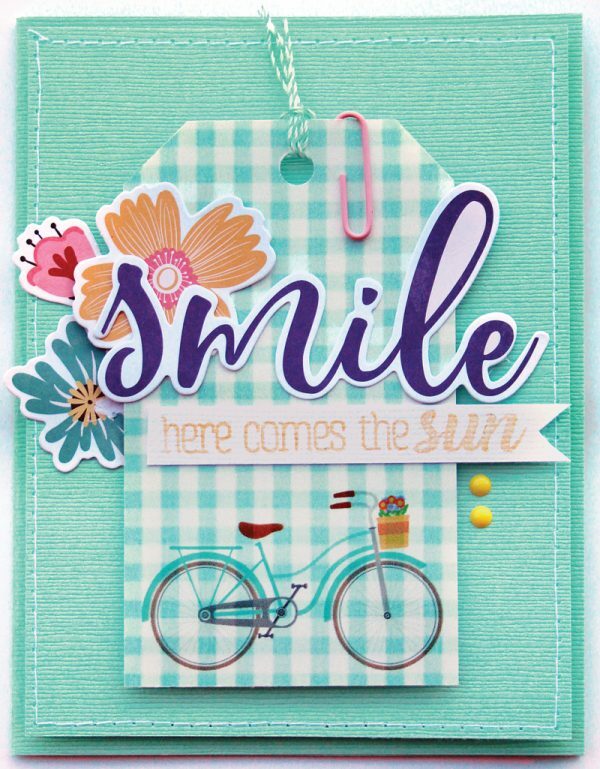 The small grid stamp in this kit’s set was perfect for that application! I loved the colourful assortment of papers and wanted to include as many of them as possible on my pages. 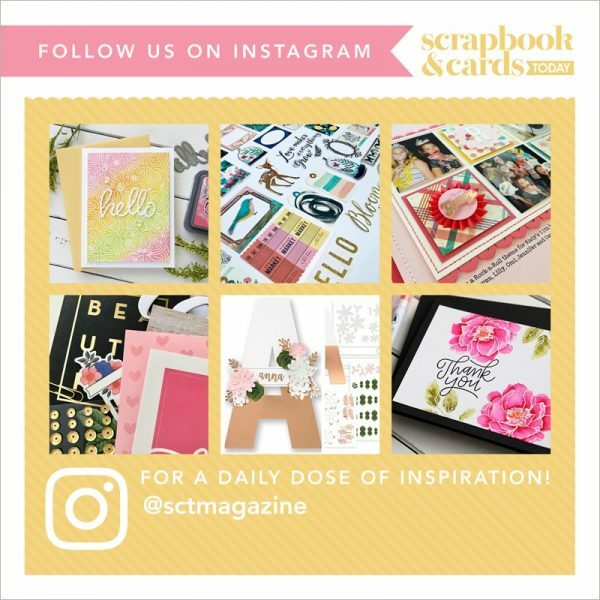 The mix of florals, stripes, geometrics, and that adorable Heidi Swapp llama paper definitely sparked my creative mojo! 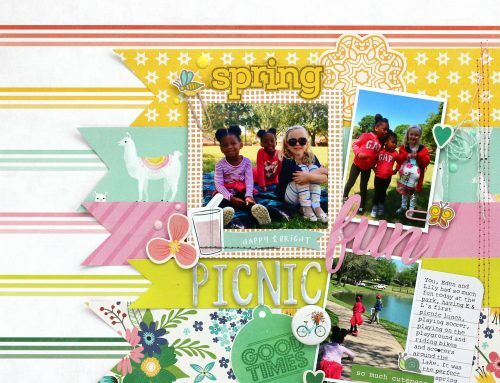 Rather than using the PinkFresh Studio stitched frames around a photo, I used them on my single page layout to add another layer of texture to my eclectic patchwork background. I filled the centres of the frames with patterned paper and arranged them in the mix just as I did the pattern paper squares. 4. Why do you enjoy creating with kits? Kits are an easy way to keep the product selection process quick & easy! If left with my entire stash to peruse, I often waste time waffling about which supplies will work best together. With the SCT Delivered kits, I can jump right into creating, knowing that all of the pieces will work together beautifully. I usually begin with my photos. 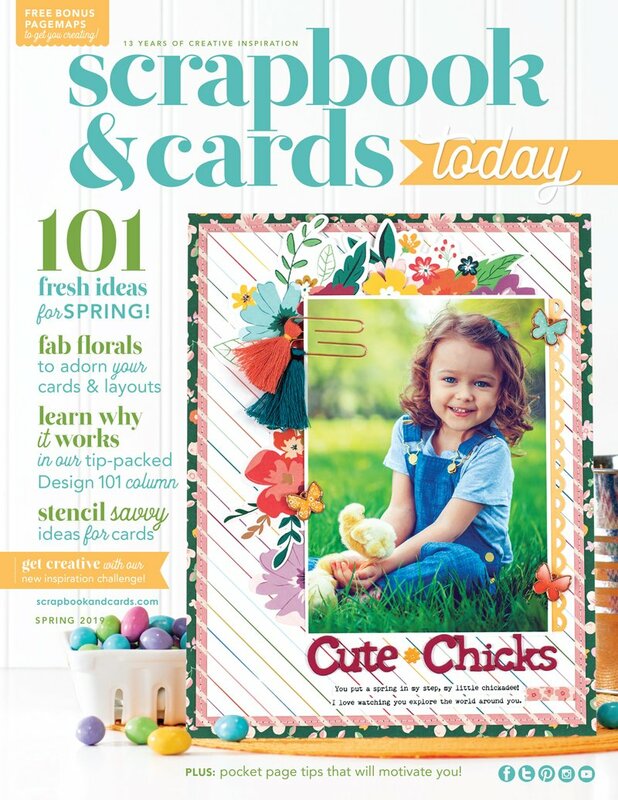 When I first saw the assortment of products in the kit, I knew the colours and patterns would play well with my photos of spring break, which also had bright backdrops and tropical hues. 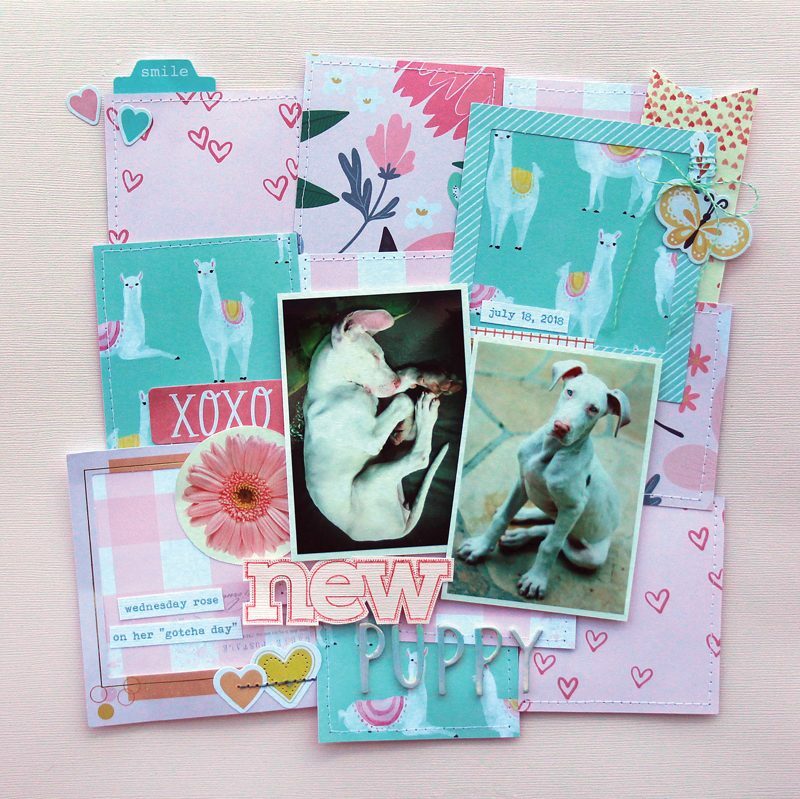 On the page about our new puppy, I selected the more predominately pink-based papers and accents to create a layout that was soft, feminine, and girly! 6. What’s your favourite thing about spring? I look forward to our annual family trip that we take on spring break. For the past 13 years, we’ve travelled to Mexico but this year we are exploring a new destination in Florida. I’m counting the days until we leave on this new adventure! Thank you for sharing these beautiful projects, Lisa! 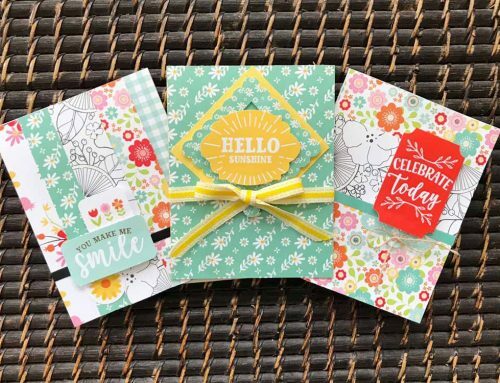 Tomorrow we’ll get a sneak peek of Latisha’s cards created with our Daffodil Days card kit! Fabulous layouts! Love the pics too! I have to agree 100% about kits! Yup! 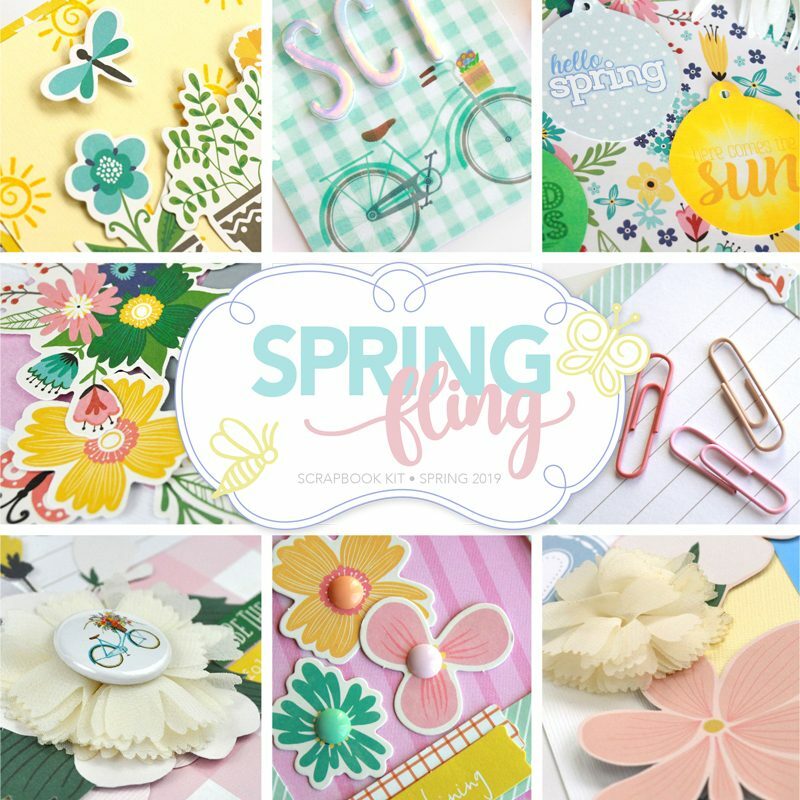 Enjoying all the different designers layouts for Spring Fling Kit. It is giving me so many ideas. I have some photos from Mexico which will work with Lisa’s. I am saving them all for when I order my kit so I can try some of the ideas. I agree about kits as well. Beautiful layouts! I totally agree with what Lisa said about kits. They take all the guess work out for us because everything coordinates beautifully! Loving the Llama 🦙 papers! So adorable! TFS! Would never have thought about backing the frames with patterned paper and using as a layer. Think I’m going to look at my frames differently from now on! Thanks, Lisa.